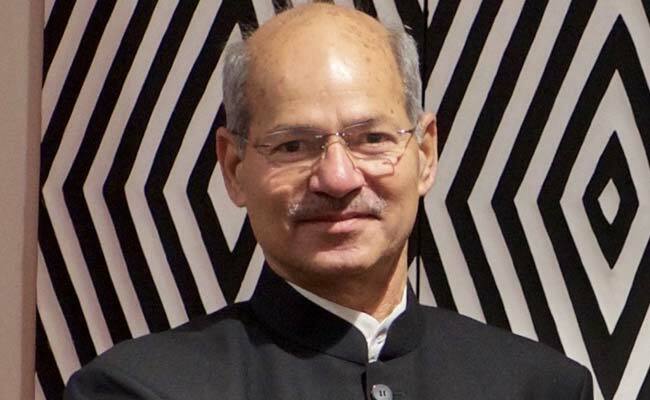 Softspoken and amiable, Anil Madhav Dave had friends across the political spectrum. Anil Madhav Dave also worked towards promoting bio-toilets in schools in Madhya Pradesh. New Delhi: Union Environment Minister Anil Madhav Dave, who died on Thursday, was a man of varied interests - the environment, social work, and flying - with a preference for organic farming and an Indian way of life to deal with climate change. Born on July 6, 1956, in Ujjain district of Madhya Pradesh, Mr Dave was a three-time member of the Rajya Sabha. Softspoken and amiable, Mr Dave had friends across the political spectrum. Dave joined the Rashtriya Swayamsevak Sangh - the ideological mentor of the Bharatiya Janata Party - as a child and later volunteered to be its 'pracharak' (full-timer) after completing his studies. A postgraduate in commerce, he was involved in the JP movement in the 1970s. Mr Dave took to flying early on as a National Cadet Corps air wing cadet. He was deputed to the BJP before the Madhya Pradesh assembly elections in 2003, whereafter he emerged as a key strategist in the party's victories in subsequent assembly polls in 2008 and 2013 as also the party's performance in the Lok Sabha polls from the state. He was founder of 'Narmada Samagra', which works for the conservation of the river and its catchment area. Mr Dave was also the founder of the Jan Abhiyan Parishad, an umbrella organisation to interlink and empower self-help groups and non-governmental organisations. To showcase his dedication to the Narmada river's cause, he flew along the river course in a small aircraft, traversed it, held public meetings, organised festivals on its shores, and found solution to everyday solution to the problems of people living along its banks. He also worked towards promoting bio-toilets in schools in Madhya Pradesh. An author of several books, he was Vice President of the 10th World Hindi Conference in Bhopal organised by the External Affairs Ministry. Mr Dave was first elected to the Rajya Sabha in 2009, and re-elected in 2010 and 2016. He was inducted as Minister of State (Independent Charge) for Environment, Forest and Climate Change in July last year after Prakash Javadekar was elevated as the Human Resource Development Minister. As the Environment Minister, Mr Dave felt that green concerns and development can go together, a line also followed by his predecessor in keeping with the National Democratic Alliance government's thrust on ease of doing business. He became a Union Minister when the Paris Climate Change accord had been reached and the environmental discourse had shifted more towards local concerns. 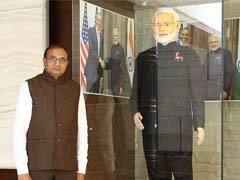 He pushed India's initiative of international solar alliance at the global fora. In interviews, Mr Dave said the right Indian way to live is the only way out for climate change and emphasised consuming only as much as is needed. In agriculture, he pushed for breakthroughs within the country so that the hardearned money of farmers is not drained. He felt that organic farming is better but it should be scientific and modern. Amid long debate on interlinking of rivers, he favoured going ahead with interlinking of small rivers to see if it proved beneficial or not. Prime Minister Narendra Modi described Mr Dave as a "friend and a very respected colleague", adding that the late leader was "tremendously passionate towards environment" and termed his demise as a "personal loss". Congress President Sonia Gandhi described Mr Dave as a "gentle human being" and said he will be remembered for his humble personality.